"Protective Spirit of Life," is the meaning of her Swahili name, Asha Kamali. An alumna of Howard University, Kamali is the 2015 female winner of the 2015 American Black Film Festival/NBC STAR PROJECT. 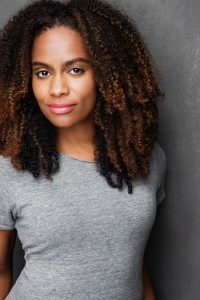 Currently, Asha stars as Nia, in the digital series, Milk and Honey alongside Debbie Allen, Lance Gross and Boris Kodjoe which is executive produced by Idris Elba. While at Howard University, Asha was crowned Miss Howard University. 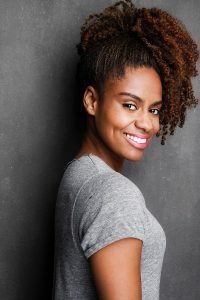 From there, she began her career in entertainment as a dancer and choreographer for Keke Palmer, choreographing her debut music videos for Atlantic Records and national tours for Disney and the WNBA. 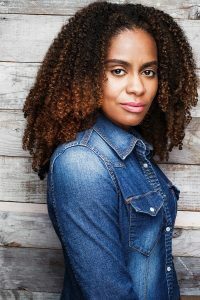 She has starred in independent films, theater and has been an on camera personality, hosting red carpets for Soultrain.com, and BET.com. Asha’s most recent TV credit was Freeform’s one-hour procedural drama, Stitchers. Next up, Milk and Honey will will be released on Issa Rae Productions’ digital channel. Asha is the co-founder of Howardwood, a non-profit day of workshops at Howard University that supports students interested in careers in entertainment. Howardwood is in its sixth year and has previously been sponsored by BET, NBC Universal, DreamWorks, CBS and Fox. Asha graduated with honors, a 4.0 average, completing her MFA acting & pedagogy degree at California State University, Long Beach and is currently an adjunct professor of theatre.